Summer break is over so it’s time to get back to school – the school of rock’n roll that is. 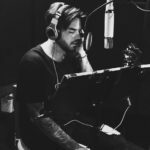 And the QAL schoolin’ is taking place all September long (well, 10 dates) in Las Vegas at the Park Theater, Park MGM. Adam has to earn some money to pay for the new home (and the old one too for now)! This month’s top photos are from the Las Vegas promotion on August 28th. 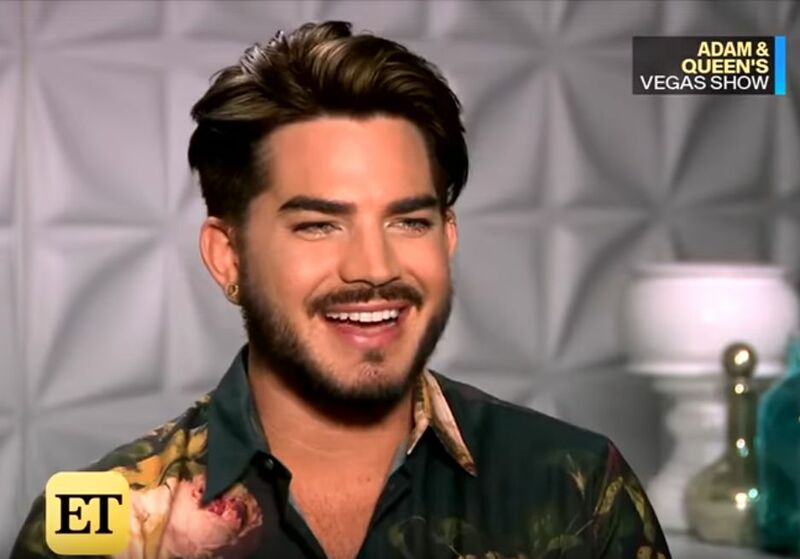 Bottom row: 1 – Screen cap from ET interview, 2 & 3 are from Adam’s Instagram. 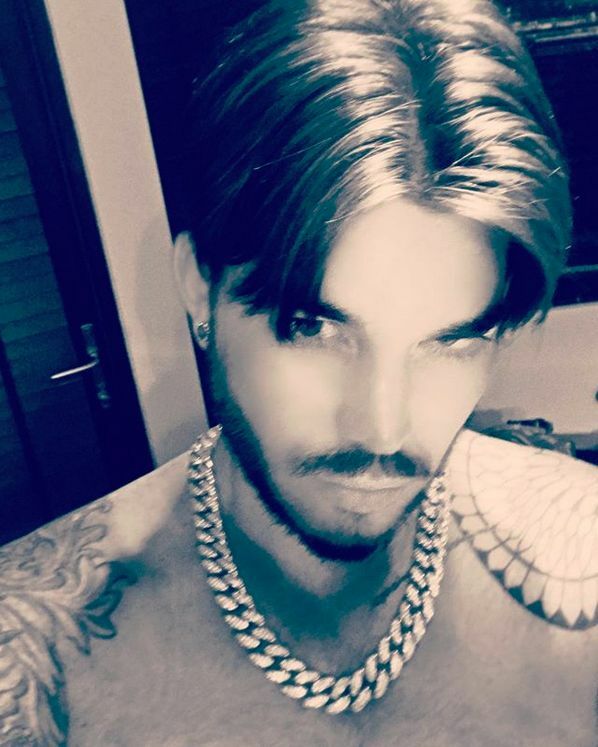 And if you want to stimulate your cerebral senses why not check out the puzzle page for a new jigsaw puzzle (FYE), crossword (The Four Tops (+1)), word search (Summer Fest) and Adamoku/Sudoku (GLAMBERTS)!! My favorite is luval’s photo #5. But any of the photos from the movie premier, especially the smiling photos riskylady posted, would be fine. 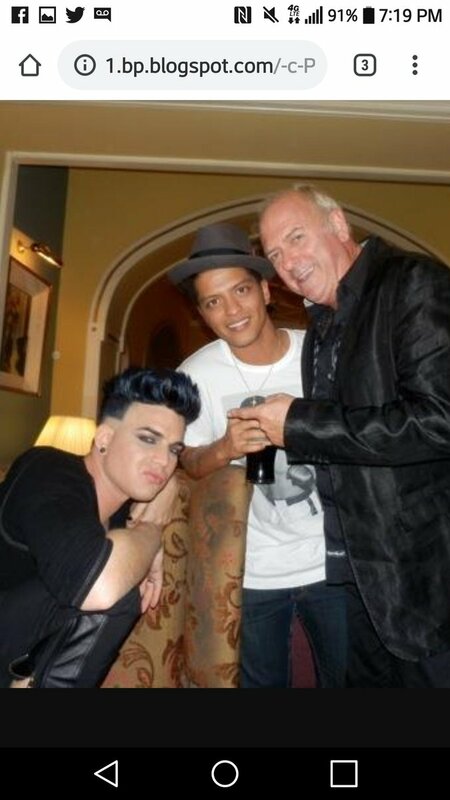 Adam looked stunning that night…classy outfit, great hair, beautiful face, etc. My favorite is luval's photo #5. But any of the photos from the movie premier, especially the smiling photos riskylady posted, would be fine. Adam looked stunning that night...classy outfit, great hair, beautiful face, etc. Love love love the teal boots!! nkd– I love those teal boots too! I’d like to see a picture of the entire boot. They’re an interesting addition to Adam’s wardrobe. nkd- I love those teal boots too! I'd like to see a picture of the entire boot. They're an interesting addition to Adam's wardrobe. Aren’t those the same boots he wore in the pre-Vegas interview? At about 9:22 you can see them when his leg is hanging out. This article says his net worth is $20 million. I think $20 million is an underestimate. Right after the GN tour it was already $6 million and that was 8 years and two more solo tours, MULTIPLE solo appearances both commercial and private and I believe 160 or so Queen concerts, mostly arenas. If Adam conservatively received $100k for most of the Queen ones(conserably less than 10% gross for the Queen ones, which is his standard booking fee I read once) that alone is $16 million – and then there’s merchandise, streaming, record sales in multiple countries and his share from collabs like avicii’s True album and Lay Me Down, Can’t Go Home, etc. PLUS TV such as Glee, XFactor, etc. I’d guess more in the $30-$35 mill range. Ghost Town video just passed 98 million views, plus almost 10k.😍 I think $20 million is an underestimate. Right after the GN tour it was already $6 million and that was 8 years and two more solo tours, MULTIPLE solo appearances both commercial and private and I believe 160 or so Queen concerts, mostly arenas. If Adam conservatively received $100k for most of the Queen ones(conserably less than 10% gross for the Queen ones, which is his standard booking fee I read once) that alone is $16 million - and then there’s merchandise, streaming, record sales in multiple countries and his share from collabs like avicii’s True album and Lay Me Down, Can’t Go Home, etc. PLUS TV such as Glee, XFactor, etc. I’d guess more in the $30-$35 mill range. 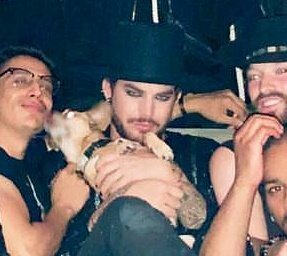 From Alisan’s Instagram, Black Party with Adam. Because of the beard, could be current, right? Ok, it’s real and current! Can’t tell yet which house. And fans wonder why work w/Queen? Well, artistic freedom, work w/ the Masters, learning what nothing else teaches, lifestyle, private jets, intelligent 1st class bandmates, The Jackets!, fame, see the world, & oh yeah…a 6.5 million dollar mansion in Hollywood Hills. https://twitter.com/kweenjeane/status/1045778269587623937?s=21 And fans wonder why work w/Queen? Well, artistic freedom, work w/ the Masters, learning what nothing else teaches, lifestyle, private jets, intelligent 1st class bandmates, The Jackets!, fame, see the world, & oh yeah...a 6.5 million dollar mansion in Hollywood Hills. riskylady, I’m going to post that quote you posted at 6;30am on my twitter feed. Hopefully the QAL haters I follow will see it. riskylady, I'm going to post that quote you posted at 6;30am on my twitter feed. Hopefully the QAL haters I follow will see it. I always wonder how these people would react if someone offered them millions of dollars to sub in a job in their field. They would jump at the chance. 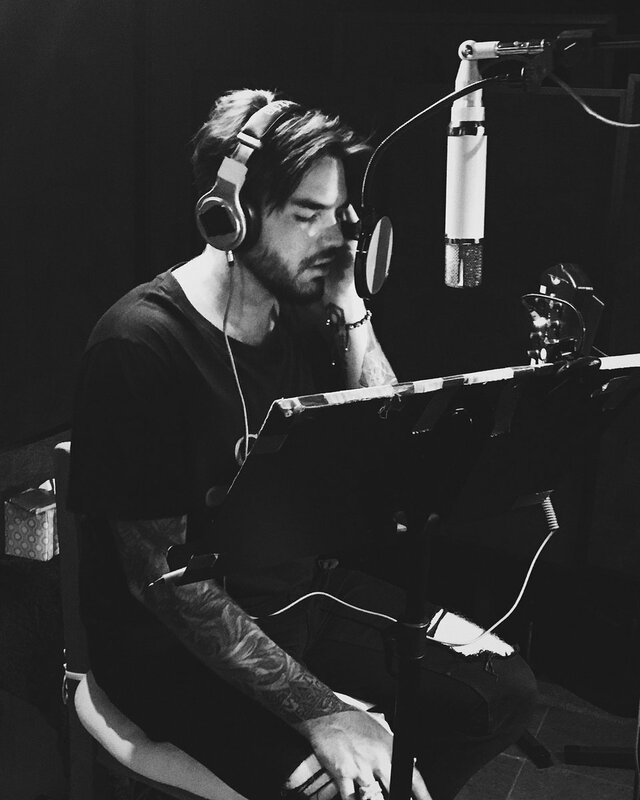 Queen + Adam Lambert is a thing? 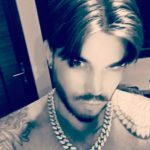 holy sh–ADAM HAS BEEN THE FRONTMAN FOR QUEEN since 2011??? what the heck. what the heck. where have I been the last 7 years. what the heck. bruh. what the heck. time to binge watch their tours then. just. what the heck. wth. what the heck. 😊 daniellestori: When you go to pose for the cover of Vanity Fair but you end up in the wanted ads. ✨✨✨ daniellestori: Who wants a snack? 👠 Bloody shoes for a end of summer funeral themed party at Adam’s. On fridays we wear black! #1 pic The sign of “Queen+AdamLambert” on the ground.. How Amazing. Personally it’s not one of my favorites. Could give a few reasons but I won’t. I suppose this picture could be a nomination for October https://www.instagram.com/p/BoVZt7gnIjv/ Personally it's not one of my favorites. Could give a few reasons but I won't. Invariably I’ll hear from people who will ask me if I heard this.